Gehäuseabmessungen 17.24" x 24.9" x 6.81"
Enthaltene Komponenten (1) Intel® Server Chassis P4308XXMHDN- Pedestal form factor (6.81" x 17.24" x 24.9") including (8) 3.5" HotSwap Drive Carriers, (1) 460W Redundant-capable Power Supply (Gold Efficiency), (2) 120mm fixed fans. Airduct sold separately. 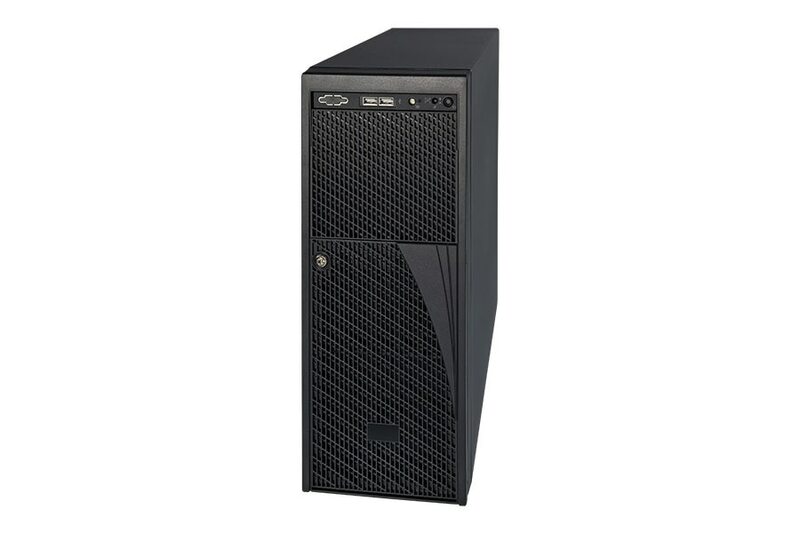 Beschreibung A general purpose pedestal chassis targeted at small to medium business supporting CEB and EEB form factor server boards with 3.5" Hot Swap HDDs, 1x 460W Redundant-capable Power Supplies and 2x 120mm Fixed Fans. Formfaktor des Frontlaufwerks Hot-swap 2.5" or 3.5"